Visiting Tours and looking to get a location to swim? Nice choice! Don't neglect to tell us how did it go. 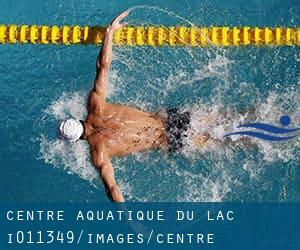 Introducing now Centre Aquatique du Lac swimming pool, a fantastic swimming pool sent by a swimmer like you couple of days ago. Have you visit this pool? Do you work here? Please, contact us for those who have information and facts that you simply believe is gonna be helpful and remember from now on you are able to now promote each and every pool just by sharing this page together with your buddies or adding comments within the Facebook boxes below. Come on and help this pool to be the very first in Tours! Swimmers like you have reported Olympic size, 8 lanes, 1.8 meters - 2 meters depth, 1.8 meters - 2 meters depth, Outdoors. Also, you will find 25 meters, 4 lanes, 1 meters - 1.4 meters depth, 1 meters - 1.4 meters depth, Indoors. If you will need to contact this Pool, e-mail address and phone number are both number. If you believe that any of the information is incorrect, please get in touch with us. Enable us be better day-by-day. 2 ter rue de la Bassée , Quartier de l’Europe , Tours , FRANCE (Postal Code: 37100). Swimmers like you reported 25 meters x 10 meters, 4 lanes, Indoor/Outdoor. Phone number and email address are number for this Pool. 62, rue du Pas Notre Dame , Tours Nord , Tours , FRANCE (Postal Code: 37100). Swimmers like you reported 25 meters x 10 meters, 4 lanes, Indoors. Phone number and e-mail address are number for this Swimming Pool. Centre Municipal des Sports , 37 Rue Galpin Thiou , Centre Ville , Tours , FRANCE (Postal Code: 37000). This great and large sports center lets professional swimmers like you enjoy Olympic size x 20 meters, 8 lanes, Indoors. Additionally, within these facilities you can try 25 meters x 8 meters, Indoors. Phone number and e-mail address are number for this Swimming Pool.